The Lezyne Flow Storage Loaded is a durable, fiber reinforced composite matrix constructed water bottle cage. It is optimized with a side loading design and features an integrated storage container below the cage. It also features CO2 holders on both sides of the cage. The Loaded edition of the Flow Storage Cage comes with a Lezyne V16 multi-tool, Co2 inflator head, two glue-less patches, and two CO2 cannisters. 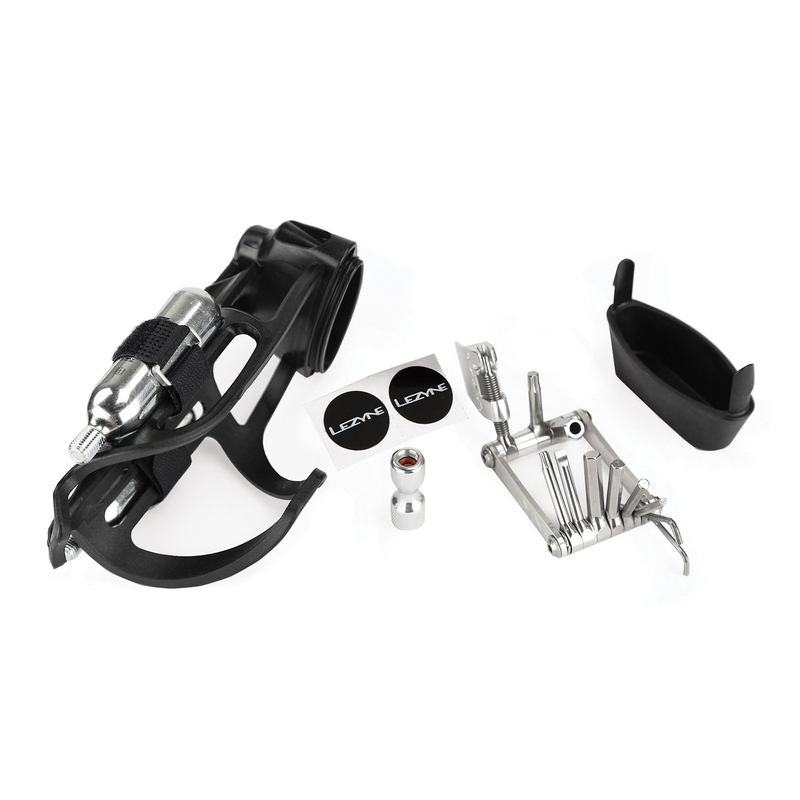 Cleanly store all the essential items you need on the downtube of your frame.